Looking for Cheap Skip Bins Auckland or Skip Hire Auckland? Do you need large Rubbish Bins for our Rubbish Removal Auckland services? 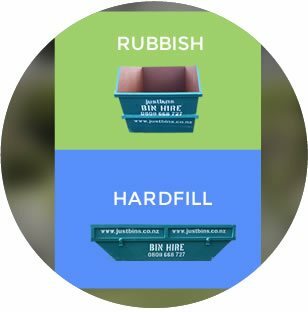 Here at Just Bins Auckland, we have a full range of convenient Skips for Skip Bin Hire Auckland, and we have satisfaction guaranteed service. We handle your General Waste Disposal, as well as Clean/Hard Fill and Garden Waste Removal. Call us now on 0800 668 727 for same day Cheap Rubbish Bin Hire Auckland. Still have questions about Skip Hire in Auckland? Searching for Garden Bins Auckland, but also have some general rubbish? You can put green waste and general rubbish together in one of our general waste bins as we recycle from our end, but you can’t put hard fill or clean fill into a general rubbish bin. If you need to get rid of soil, concrete, bricks, rocks and stone then you should select one of our hardfill bins. And yes, we even have a Trade Me Skip Hire Auckland listing. Top service, real value for money & when I asked for my bin to be removed today and replaced with another one it was done super quick! Highly recommended to all! All Bins are for hire for 4 days but can be left longer or picked up earlier by arrangement only. How wide does my driveway have to be? We need at least 2.6-metres in width to get our trucks down with no tight bends. How high can I load the bin? A cubic metre is a standard unit of measurement. One cubic metre is the amount that would be held in a cube that is one metre wide by one metre high by one metre deep. What weight can I load? 2m³ 450kg, 3m³ 600kg, 5m³ 750kg , 6m³ 1000kg, 7.0m³1200kg , 9m³1600kg & 12m³ 2000kg. There is no excess weight charges on hard fill clean fill skips.